The Dos and Don’ts of maintaining a factory finish on your vehicle. Keeping your vehicle’s paint in tip-top shape will keep your car looking beautiful and in excellent condition. Your car’s paint is constantly under attack from many environmental factors, but there are ways to protect the finish of your car from its enemies. 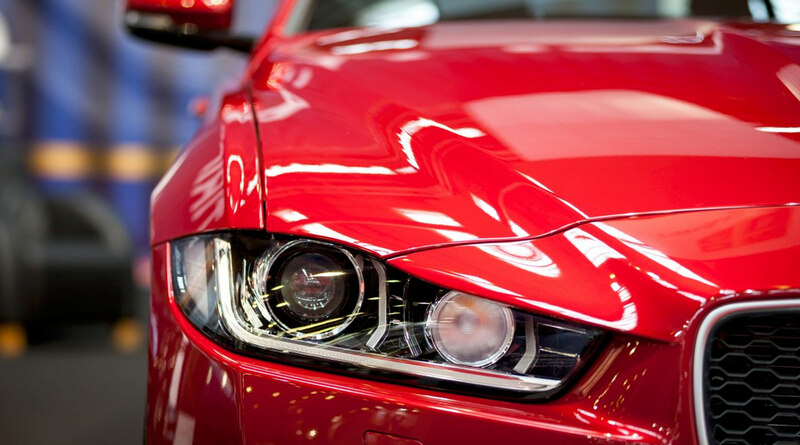 Although advancements in clear coat technology has increased vehicles’ abilities to brush off environmental assailants, they are not completely invulnerable from forces that wish to do your car’s paint harm. The Sun: Your car’s skin is just as vulnerable to the sun’s harsh ultraviolet rays as yours is. Direct UV exposure can cause your car’s paint to oxidize and flake away. In addition to oxidation, the porous nature of clear coat and paint means it will absorb dirt and moisture during thermal expansion and contraction. Bird Droppings: Parking your car under a tree can be an excellent way to shield it from the sun. However, doing so might put your car on the receiving end of various “low altitude air-to-surface missiles” from any birds that roost in the tree. The acidity of bird guano can erode paint and damage clear coat finishes. Sap from Trees: Another hazard of driving or parking in a densely foliated area is tree sap. If you encounter a large blob of sap that has fallen on your car, try to remove it immediately before it can trap even more dirt and grit against your car’s surface. However, more insidiously, trees can dispense a mist-like cloud of sap that settles on your car. Under the hot sun, this thin layer can melt into the pores of your car’s paint, damaging it and causing stains. Salty Air: Any boat-owner will tell you that salt water is one of the most hostile environments for anything human-made. If you live by the ocean, small salt particles blown by the wind can settle on your car. Humidity or a light rain will turn that caked-on layer of salt into a salt-water bath for your car, severely damaging paint and body panels underneath. Airborne Contaminants: Even if you live in a place that has cleaner air than downtown LA or Beijing, there may still be airborne particles that threaten your car’s paint. Floating pollutants caused by industrial activity, or even released by household chimneys, can settle on your vehicle and damage the finish. Garages, Parking Structures, and Car Covers: Parking your car in a garage or other covered parking structure will protect it from the sun (and unlike a tree, won’t drop sap all over your car). A car cover is an extra step to ensure the longest life from your car’s finish. A car cover will protect you vehicle from the sun, as well as airborne particles, sap, bird droppings, and even light abrasions like a carelessly balanced bicycle. Paint Protection Film: This is the big one. This is the one thing you can do to your car and it makes the rest of these points moot. Paint Protection Film is an invisible protective layer between your vehicle’s paint and the elements. It stops rock chips, scratches, parking lot door damage, industrial fallout, and anything else that could damage your paint and clear coat. With the films we use as an Autobahn Certified Installer, you enjoy a lifetime warranty, which means you get a guarantee to a factory finish for the life of your vehicle. Who else can say that? If you have any questions, just click here, we would love to chat about it. Clear Coat Paint Finishes: Since the late 1980s, car manufacturers have been applying a layer of clear coat to seal the exterior paint. The clear coat does a good job at protecting the pigmented paint, but it is still vulnerable to environmental factors. Wax: A good layer of wax creates a hard shell over the surface of your car to protect it from all its enemies, and keep it looking great. There’s a reason car owners have been trusting wax to look after their cars for decades, it works.